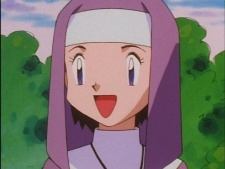 She is a nun who lives in a temple in Johto between Mahogany Town and Blackthorn City. She is the follower of a religion similar to Buddhism in which the founder meditated along with Slowpoke until he cleared his head of all worldly thoughts and found enlightenment. Apparently, she meditated along with Gary, spurring on Ash to attempt the temple training as well, although he wasn't successful. Senran Kagura is a video game series turned anime/manga filled with hot ninjas, comical moments and lots of action! The franchise has released tons of different games over the years. Keep reading to learn more about the hottest!